Mediakunta is a cooperative of the Union of Journalists in Finland (UJF) for journalists and media professionals. We handle the billing and paperwork for you. We know the media field and can provide members with both UJF and co-worker support. We are a community. Mediakunta bills clients for the work you have done and makes statutory deductions from your pay. The cooperative makes things easier for you, as you will not be burdened by entrepreneur’s obligations. Mediakunta is a non-profit-making initiative. All members’ contributions are directly used to benefit the membership. Being a member of the cooperative improves your position on the job market as someone working freelance gigs. We can help with such things as setting proper rates of pay. To join Mediakunta and operate as a member of it, you have to be a member of the UJF. We created Mediakunta because the UJF wants to help its members who do short-term work. All UJF members are welcome to join Mediakunta – whether journalists and media professionals or publishing editors, graphic designers, photographers and translators. You can also use our service if you are in an employment relationship or are a student or retired union member and are doing freelance gigs as a secondary occupation.  Mediakunta is a non-profit-making community of freelancers doing journalism and media gigs. 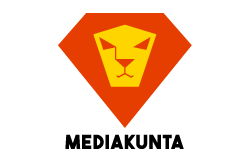 The idea is that we work together and that freelancing is something to be proud of. How much is Mediakunta membership? It costs €99 to join Mediakunta. As a new member you also make a capital share payment of 1€. The joining fee is to commit members to the work of the cooperative and is non-refundable. The cooperative also levies a contribution from each billing to cover Mediakunta’s services. The amount of the contribution depends on your income. Mediakunta is non-profit-making community and all members’ contributions are directly used to benefit the membership. If a surplus is generated from invoicing, it can be redistributed to members as share capital interest proportionate to their billing. Is the work an employment relationship? The work you do counts as an employment relationship with Mediakunta. The Tax Administration’s pay and work remuneration guidelines state that work done through a cooperative is an employment relationship. Unemployment funds and employment and economic development offices decide on this independently. Unemployment security depends on the interpretations used by the authorities, unemployment funds and the Social Insurance Institution. Members must check with the authorities about their status concerning unemployment. How should I include tax-deductible expenses when invoicing? You need to indicate the occupational expenses related to invoicing when you submit an invoice. Expenses will be paid as compensation to the employee. Deductions for larger items and equipment are done using Freelance Tax Form 15. The Board of Mediakunta decides on the procurement of equipment for work purposes. It approves this in advance. If a member procures equipment for Mediakunta, the member has a responsibility to submit original receipts to Mediakunta in the manner it determines. In procuring equipment the member is aware that the equipment is the property of Mediakunta. In the event of bankruptcy or enterprise re-organization and dissolution of the cooperative, the equipment will be the property of the organisation, whereby it must be returned to the cooperative. There is more detailed information for members about procuring equipment on the members’ intranet pages. What do I gain by being a member of Mediakunta? Mediakunta is a proper cooperative that supports its members’ work finances and employment. We are a non-profit-making community of freelancers focusing on journalism and media work. The idea is that we act together and that freelancing is something to be proud of. Mediakunta eases your situation as a freelancer. You do not have to shoulder the obligations of being an entrepreneur. Mediakunta employs its members for journalism and media work gigs. We invoice the clients for the work done and make statutory deductions from your pay. We handle the invoicing and paperwork for you. We are non-profit-making organization, and all members’ contributions are used directly to benefit the membership. The cooperative is the sum of its membership. We provide our members with networking opportunities, advocacy in members’ interests and training. We know the media sector and provide members with UJF and co-worker support. To join Mediakunta and work as a member of it you have to be a member of the UJF. Belonging to the Mediakunta cooperative improves your status on the job market in working freelance gigs. We assist members with such things as determining proper rates of pay. What services does Mediakunta provide? The cooperative offers training and employs members for the time they work freelance gigs. Mediakunta eases your situation as a freelancer, as you do not have to shoulder the obligations of being an entrepreneur, and we handle the paperwork for you. We offer our members with networking opportunities, advocacy in members’ interests and training. We know the media sector and offer members both union and co-worker support. Read more about our services here. Does the membership cost anything? How much? Does working for Mediakunta enable entitlement to earnings-related allowance if I become unemployed? You will be employed via Mediakunta. In working for Mediakunta you will not be self-employed. However, Mediakunta does not guarantee that you will be entitled to earnings-related unemployment benefit. The unemployment fund and the Employment and Ministry for Employment and the Economy decide about this. Members must check with the authorities about their status concerning unemployment. Eligibility for unemployment benefit depends on the interpretative practices of the authorities, unemployment funds, and the Social Insurance Institution (Kela). Does it make financial sense for me to belong to the cooperative? Mediakunta is an additional service that is available to UJF members. It is mainly intended for people who want to focus on their primary occupation of journalism and media work. Financially speaking, it may be more rational to work as a self-employed person, if you want to clarify deductions and manage official obligations. If you want to focus on your primary occupation and you want to exercise it in an employment relationship, it makes good financial sense to work through the cooperative. Does the cooperative work as an employment agent? Mediakunta markets members’ work outputs on its website and tries to find work for members. We pass on work offers to members. Can I invoice clients using e-Billing via the members service system? Yes. In addition to regular mail, it is possible to use email-invoice or Finvoice to bill clients through our system. Our members can choose from these three billing options in the intranet system. We are continually developing our system and service in response to your feedback. Don’t hesitate to get in touch. You can find the feedback form here. How soon can I get the salary to my account? We pay salaries twice a month: in the middle and in the end of the month, on business days. When did Mediakunta start operating? We are looking into the scope for providing workspace. Can I be a member of Mediakunta if I am not a member of the UJF? Membership of the cooperative is only open to members of the Union of Journalists in Finland (UJF). Mediakunta members must inform us if they stop being UJF members, whereupon we terminate their membership of the cooperative. There are other cooperatives. Why should I join this one? Mediakunta is a non-profit-making community of freelancers doing journalism and media gigs. The idea is that we act together and that freelancing is something to be proud of. We know the media terrain and provide members with both UJF and co-worker support. Do I qualify for VAT and the deduction for entrepreneurs? No. VAT and the forthcoming entrepreneur’s deduction apply to self-employed people only. The Tax Administration classifies you as an employee in a working relationship via Mediakunta, and so you do not qualify for these tax benefits. Can I receive a start-up funding? Work done through Mediakunta is employment, and so does not qualify for the traditional Finnish start-up funding. How are maternity allowance and sickness benefit determined? Maternity allowance and sickness benefit are determined according to your pay, the same way as they are in other employment relationships. You can find out more from the Social Insurance Institution website. What are my responsibilities as a member of Mediakunta? Members commit themselves to provide Mediakunta information about their work honestly and without delay. Members must provide Mediakunta with information on matters concerning assignments and employment. Members are obliged to make use of the Mediakunta intranet system for reporting on work gigs. Members must use the system in attending to all related matters, and the cooperative does not handle any such information by email or phone. Mediakunta complies with labour legislation and collective agreements. Members must report in advance on the content of work they do. They are committed to providing the cooperative with accurate information. Mediakunta members are not affected by the competition restriction of the Employment Contracts Act. They may therefore work for other employers or work independently as an entrepreneur. How do I leave Mediakunta? Members can leave the cooperative through written notification to the Mediakunta board. The earliest you can leave Mediakunta is two months after joining it. Members must also notify Mediakunta if they leave the Union of Journalists in Finland (UJF).